"Without the cooperation among countries, it will be impossible to mitigate the effects of climate change"
The ethics of climate change. 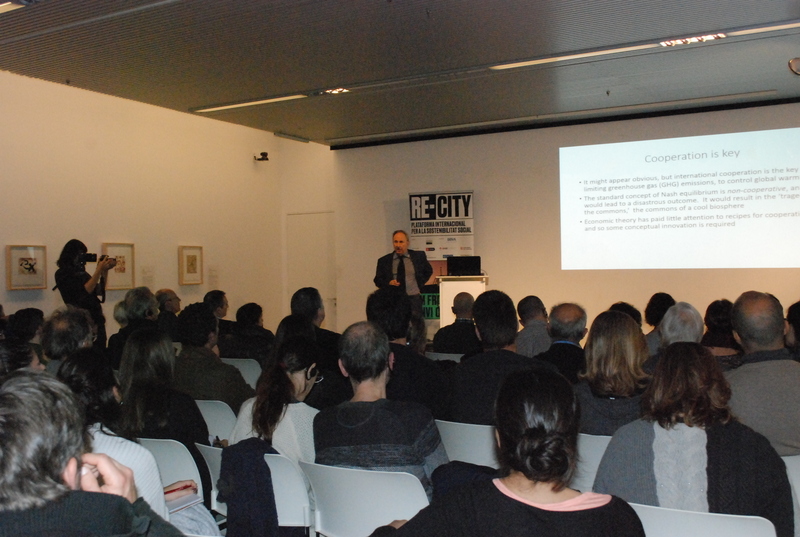 "Denying the existence of climate change is the main problem in begging to find a solution," warned Professor Yale University, John Roemer, in his lecture "The ethics of climate change" in the cycle "Facing Climate Change" of the Re-City platform, organized by Catalunya Europa Foundation with the collaboration of BBVA and the support of Barcelona City Council, the "Àrea Metropolitana de Barcelona" and the Generalitat of Catalunya. The American economist referred to those who, like President of his country, Donald Trump, have questioned the existence of climate change and have opposed to cooperation between countries to fight together against their effects. According to John Roemer, without cooperation, it will be very difficult to comply with the Paris Agreements and reduce the emission of greenhouse gases. For this reason, he was very critical of Donald Trump and his decision, when he arrived at the White House in 2017, to withdraw the United States from the agreements signed in Paris for 195 countries, just three years ago, on December 2015. A decision that Roemer deeply regrets because "since then, the US has done nothing against climate change. Luckily, some states, like California, are doing steps forward with specific legislations, on their own, outside the federal government of the White House", Roemer said. "But while the voters keep Trump at the oval office, the rest of the countries will have to put more pressure on the United States not to completely disassociate themselves from this struggle, because we are facing a global problem." John Roemer, who also teaches Political Science at Yale, described the Paris agreement as "a very important but insufficient co-operation exercise. We have no way of checking the degree of compliance with the countries, but assuming that they all accomplished, would not be enough to mitigate the consequences of global warming "
Cooperation, the key to success. John Romer gave his lecture on December 11th, in front of a full auditorium, in the Fundació Antoni Tàpies in Barcelona, where he desgranated his theory to make compatible the fight against climate change with economic growth, helping to reduce the inequalities between countries in a sustainable way and with the least ecological impact on the world population and future generations. 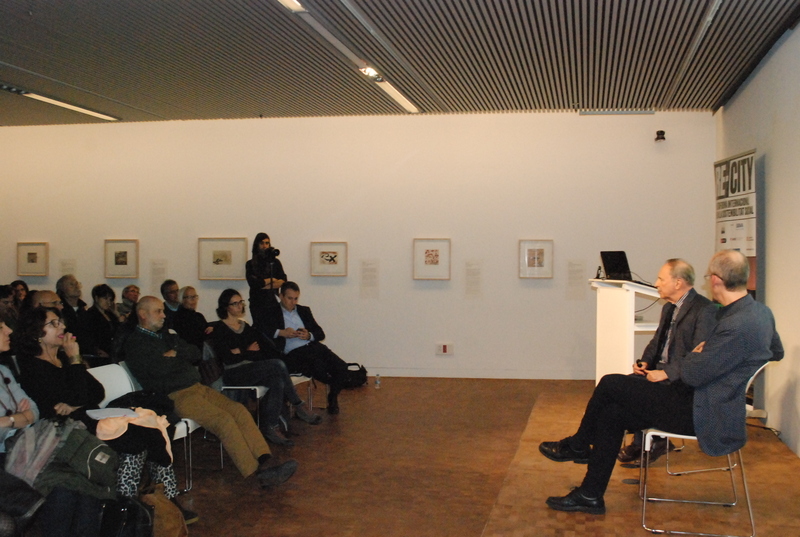 The conference was moderated by Humberto Llavador, professor at the UPF and the Barcelona Graduate School of Economics, and alongside with Roemer and Professor Joaquim Silvestre of the University of California from the book: "Sustainability for a warming planet" published by the University of Harvard, work that made them earn the Catalunya d'Economia Award 2017. The system that the three authors propose is based on a tax on companies for the use of each ton of carbon, thus putting an end to the emission of carbon dioxide and greenhouse gases. The money raised would be allocated to a global fund that would serve to compensate the poorest countries and help to develop them. Previously, all countries should unanimously agree on the price of this carbon charge and set the emission limit for polluting gases to not exceed 1,5°C of global warming established by the IPCC expert group of the UN in its latest report. It would also set quotas and annual permits for each country to control gas production. The objective of the tax is not only to raise funds but also to deter companies from abandoning the use of carbon and evolving towards renewable energies. Like this, Roemer estimates that in 50 or 75 years the use of carbon could be reduced by 95%. In his study, he estimates that the tax would be about 135 dollars per tonne of carbon and the global fund would add up to a trillion dollars, which would allow 500 billion dollars a year to help the countries with the least resources, one Figures five times higher than the funds provided for in the Paris Agreements. Roemer has simulated 40 years of view of the results of its system, but has not foreseen a start date. "When we start better, there is no alternative," says the expert. Thus, the most polluting countries are the ones that will most pay the price of this pollution. As an example, the US would contribute to the fund with $175 billion; China, $136 thousand; Japan, $19 thousand; and Europe, $14 thousand. While, on the other side of the scale, the African continent would receive from the fund $331 billion dollars and India, 1$21 billion. It is a system that does not hamper growth or impoverish in countries with fewer resources, at the same time it also corrects inequalities, thanks to a principle of solidarity that allows coping with the biggest problem facing our civilization. But the key to the success of the system, according to Roemer, is cooperation between all countries, the design of convergence policies and the creation of restrictive measures to curb the inequalities that generate economical problems like unemployement or that give more wings to political populism. Without coopeartion, we cannot fight against climate change.